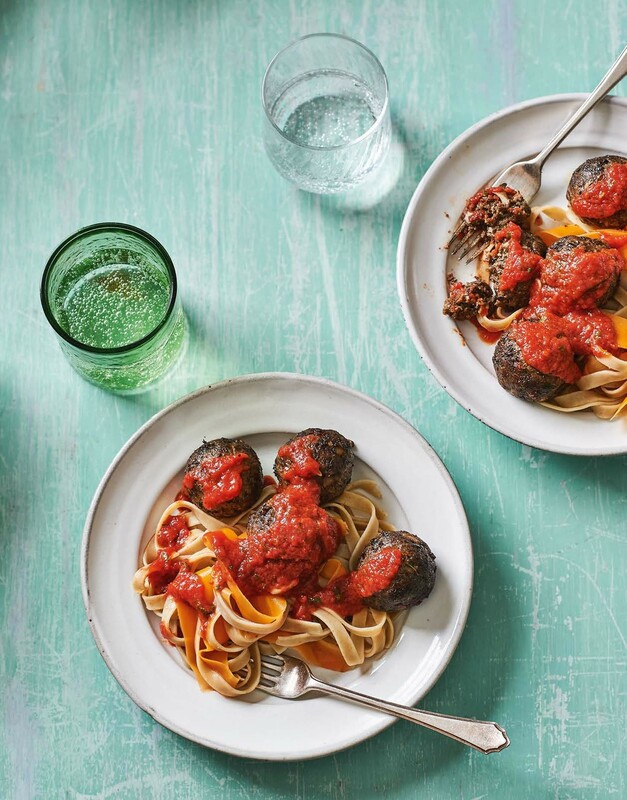 My ‘meat’ balls are made with puy lentils, wild mushrooms and flaxseeds – you will not miss the red meat! I tend to prepare a big batch of these because they disappear quickly. Packed with beautiful Italian herbs and spices, they will imbue your kitchen with Mediterranean vibes. The Mediterranean diet is universally one of the most researched diets proven to reduce the incidence of cancer, diabetes and heart disease and, contrary to popular belief, it actually features little meat. Experiment with different herbs and find what works for you.